India is an enigma. It´s a vast country, home to a fascinating mix of culture and traditions, combined with 21st century technology and a fast-growing economy. Dubbed the world´s most multidimensional destination, it offers the visitor pristine beaches, snow-capped mountains, traditional villages, mega-metropolises, and an amazingly diverse culinary experience. India is also home to over 17,000 colleges and almost 400 universities, offering world class facilities to its students, both local and international. Studying in India is a great way to get to know the landscape, giving you plenty of opportunities for travel and adventure over the holidays, and a chance to get a hands-on experience of this fascinating country. Studying in India, you won´t only get a chance to travel and experience the country´s rich cultural tapestry; you´ll also be paying less for a quality education. Tuition costs in India are significantly lower than in many other countries, and the standard of education is high. In addition to this,scholarships are also available for foreign students. Where should I study? 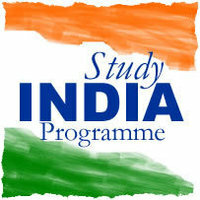 Where you choose to study in India depends, largely, on what you would like to study. India has been at the forefront of the sciences, mathematics and technology for thousands – literally thousands – of years, with the number system having been invented in India, and the country being home to ayurveda, the oldest medical system in the world. If it´s technology you´re interested in, Bangalore is where India´s ‘Silicon Valley´ is located, while New Delhi is home to India´s acclaimed All India Institute of Medical Sciences, if you want to get into medicine. But India is also the perfect place to study if you are interested in arts and culture. St. Xavier´s College in Mumbai offers a postgraduate course in ancient Indian culture, while Fergusson College in Pune offersSanskrit and Hindi as undergraduate subjects. Or for something even more alternative, study yoga at the University of Mumbai. Asian Education Consultancy is known for genuine dealing and best admission guidance. We are in liaison with number of professional colleges offering different courses. If you visit our office, the huge data bank, information and details about the college & Courses speaks for itself. • And course of your interest. The process does not ends here, we also provide the “Total Admission Guidance” in Govt recognized institutions which are duly accredited and accepted all over. Please remember the seat availability structure changes from time to time. So, we advise you should contact us as early as possible. Infact we suggest you should start your search atleast 6 months in advance, so that you have a plenty of time to go in details. Course and Career selection should be done with good care. Students and parents who finds themselves in dilemma when it comes to course and career selection can approach us for personalized counselling. We have excellent psychologists and counsellors in our panel who conduct tests based on scientific methods and can draw inferences regarding the fields of your interest.